Coursera as an education platform needs no introduction. The platform provides courses taught by top instructors from universities and educational institutions from around the world in the form of videos and interactive content. They have more than 23 million learners on the platform and one of the key reasons for their popularity is the accessibility of the courses through the mobile app. 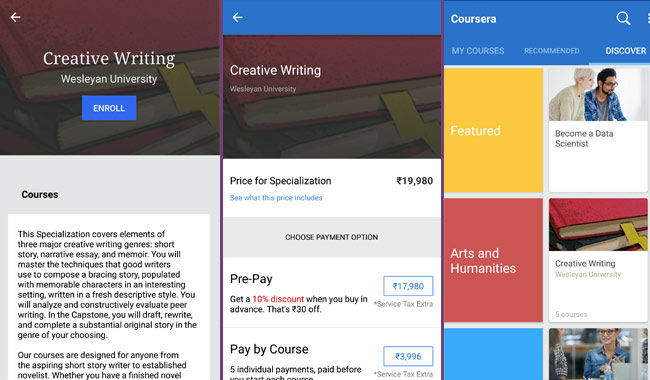 Available on Android and iOS, the Coursera app accounts for a significant share of the platform’s traffic. In India, Coursera has the second largest market after the US with 1.8 million learners. Out of these, 24% are on the mobile app. What makes it click? First of all, learning on the smartphone is something that is not at all out of reach now - with smartphones becoming powerful and getting better displays along with high-speed data becoming cheaper. So, since the Coursera platform provides 96% of its courses in a format that can be entirely completed on smartphones, learners opting for the mobile app is not entirely an unpredictable trend. And then the app itself is well-thought out. Starting with a simple sign up that gets you started in minutes (even if you sign up with your own email ID) the app takes into account the goal you’re trying to achieve through learning - be it simply learning a skill or actually targeting a career growth. The categories range from Arts and Humanities to Computer Science to Physical Science and Engineering. In fact, if you head to the Discover section on the app, you can see all the categories available, along with the courses that could interest you with the University name mentioned. 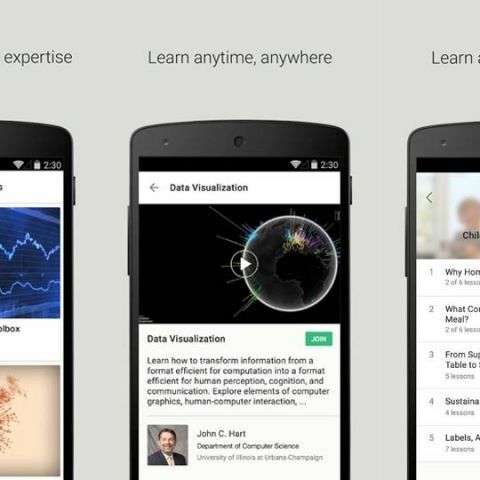 Another way in which courses are presented in the app are as a career goal - ‘Become A Data Scientist’, ‘Become a Digital Marketer’ - which will present you with several sub-specialisations within them with their own course curriculums. This approach will surely be helpful to anyone with a specific career goal in mind. Some of the interesting features of the app are specifically beneficial for the Indian context. Users can download videos by tapping on the cloud symbol next to the video and watch it later, even without an internet connection. Along with that, for lower end phones, users can also choose to experience the course in ‘Audio mode’ where instead of playing the video, the users can listen to the content in audio format - hence saving significant battery drain. Someone who is already familiar with the Coursera platform can use the app as a learning companion to continue the learning on the go. A completely new user will also have an easier way to come onboard the platform, as clearly more people have smartphones these days than a personal computer or a laptop. Going forward, mobile is going to be the only major content consumption platform. 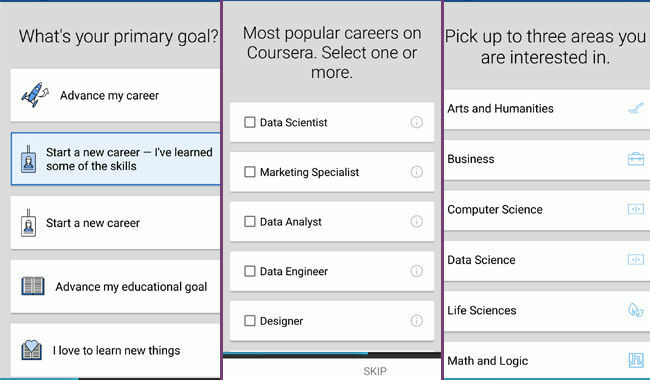 With that future ahead of us, the Coursera app makes a lot of sense if you’re in the market for online learning.